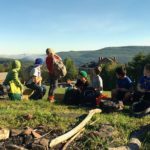 High 5 Adventure Learning Center is an educational non­profit organization that helps individuals, schools and communities use experiential and adventure education as a catalyst for positive change. Our Edge of Leadership Program (EOL) brings social, emotional and leadership skills development to students and educators within school communities. EOL is growing and we are seeking a new team member to join us as a Program Coordinator. This is a full-time position working closely with the EOL team to support their programmatic work, take on specialized projects, and hone our systems to create an efficient and dynamic work environment for all. Although certain skills and previous experience are a plus, we are prioritizing people with the right attitude, commitment, passion that will align with the mission and culture of the EOL team. Coordinating logistical needs (materials, space needs, additional services, etc.) for programs. Managing recruitment and registration for EOL Summer Programs for high school students and teachers. Coordinating the evaluation process, including survey outreach. Assisting in the generation of reports, statistics, and editing of written resources. Supporting pre- and post-program documentation and generating follow-up materials. Assisting in the delivery of programmatic needs at key points throughout the year. Ability to thrive in both a collaborative and independent-work setting. Willingness and desire to bring energy and adaptability to High 5 and its mission, style, and team culture. Organized, flexible and able to grow and evolve along with our systems and practices. Adaptable and eager to learn, seeks challenging work, has strong problem-solving skills, and treats new experiences as opportunities to grow. Solid written and oral communication and computer skills. Willingness to live within a commutable distance to High 5. High 5 is committed to inclusivity. We recognize that growing our team to include people from all backgrounds, identities, perspectives makes our work more effective as we strive to strengthen the communities in which we work. We encourage any and all applicants with the above qualifications to apply.